I have been using this product for about 3 months now and it is still half full (I don't use it everyday though). When I opened this jar, Bam! there it was love at first sniff. LOL! A gentle exfoliating scrub that removes dead skin cells whilst invigorating. plus it’s subtly scented with our tantalizing Wild Cherry fragrance. This was given by a friend who came home from Singapore last summer. I noticed from the website that it's not available in all Body Shop stores. It retails for $29.00 Singaporean Dollars. So I'm not sure if this is available locally because I haven't seen this in our local Body Shop stores. This is nothing like the usual Body Scrubs I've tried. 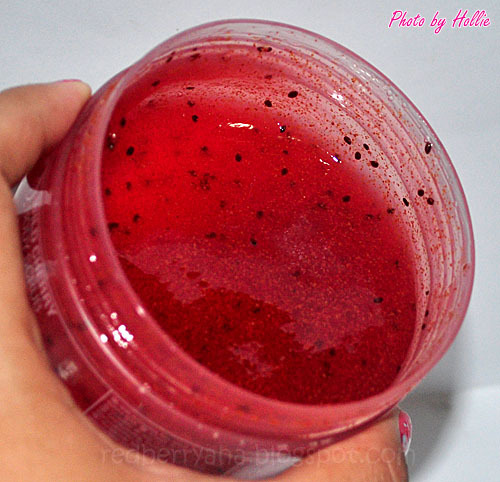 Most of the body scrubs I tried before had exfoliating beads in them that just melts in your skin while scrubbing. 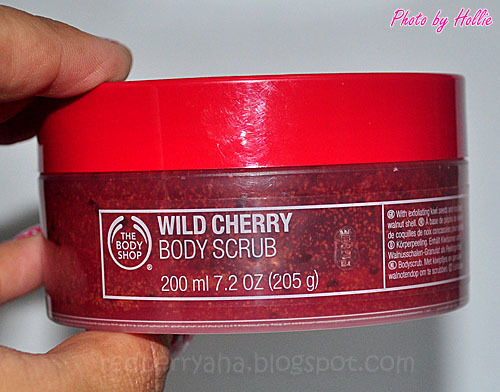 However, The Body Shop Wild Cherry Body Scrub just sits on top of your skin until you wash them off. It has visible Kiwi seeds in this gel-like texture. Unfortunately, I only like this product for the scent but other than that it doesn't really do anything else for me. I would not recommend this at all since I've tried better body scrubs that are way more affordable. If you have dry skin, skip this. 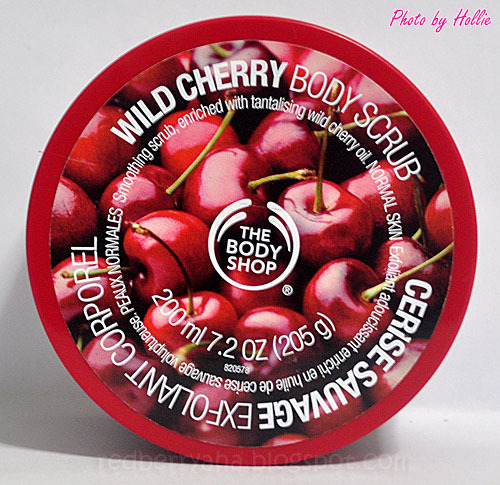 But if you'd like to smell like sweet cherry candies after bathing, you will like this.